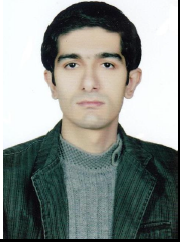 Mohammad Valipour has a PhD in Water Sciences and Engineering-Irrigation and Drainage from the Sari Agricultural Sciences and Natural Resources University, Sari, Iran. He completed his BSc Agricultural Engineering-Irrigation at the Razi University, Kermanshah, Iran in 2006 and an MSc in Agricultural Engineering-Irrigation and Drainage at the University of Tehran, Tehran, Iran in 2008. His current interests are surface and pressurized irrigation, drainage engineering, agricultural water management, evapotranspiration, trend analysis, hydrometeorology, hydroclimatology, hydroinformatics, mathematical and computer modelling and optimization, and relationship between energy and environment. He has contributed to more than 80 publications include hot papers in different books, journals, and conferences. He has also referred more than 700 assignments for more than 60 ISI journals.